Former Miss World looking dashing on cover of complete fashion magazine. 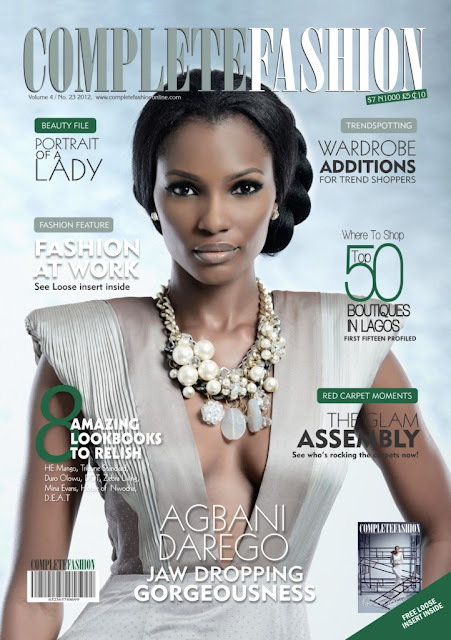 The all time beauty Nigerian supermodel, Agbani Darego who is making a roaring comeback on the Nigerian fashion scene. She dishes on the model life in cosmopolitan New York where she is based and plans for the future. 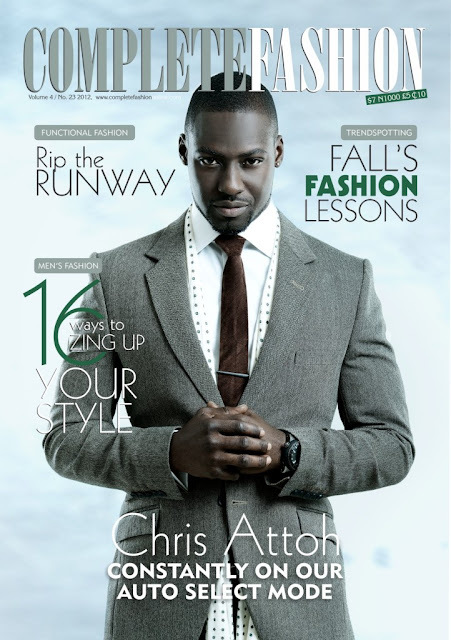 The reverse cover features one of African television’s leading men Chris Attoh who talks about his rise to fame and starring in the award-winning drama soap series, Tinsel. This edition also has a special, an exclusively Nigerian where-to-shop guide, profiling the top 50 boutiques in the country.